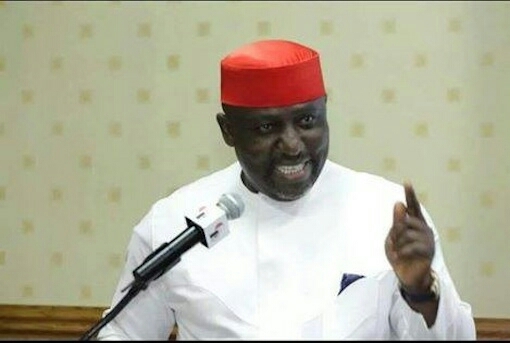 Governor Rochas Okorocha has ordered payment of three months salary arrears to Imo State civil servants. With the governor’s directive, workers will get April,May and June salaries at once. Okorocha, who gave the directive at the weekend during a meeting with Directors of Accounts, Treasurers and Permanent Secretaries at the Government House, assured that henceforth, salaries of civil servants would be paid as and when due. The governor also set up a committee which would be liaising with the directors of Accounts and the stat’s Accountant-General every month to ensure prompt payment of the salaries of civil servants. However, Okorocha explained that the 70 and 30 percent revenue sharing formula between labour and the state government does not mean that workers would get only 70 percent of their salaries at the end of each month. The governor said they could get more, depending on the revenue profile of the state at a particular month.